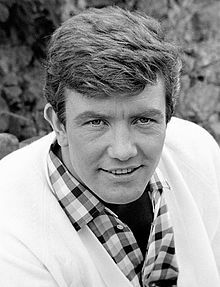 Albert Finney (9 May 1936 – 7 February 2019) was an English actor who worked in film, television and theatre. He attended the Royal Academy of Dramatic Art and worked in the theatre before attaining prominence on screen in the early 1960s, debuting with The Entertainer (1960), directed by Tony Richardson, who had previously directed him in the theatre. He maintained a successful career in theatre, film and television. He is known for his roles in Saturday Night and Sunday Morning (also 1960), Tom Jones (1963), Two for the Road (1967), Scrooge (1970), Annie (1982), The Dresser (1983), Miller's Crossing (1990), A Man of No Importance (1994), Erin Brockovich (2000), Big Fish (2003), The Bourne Ultimatum (2007), Before the Devil Knows You're Dead (2007), The Bourne Legacy (2012), and the James Bond film Skyfall (2012). Finney followed this with a small part in The Victors (1963). He then made his Broadway debut in Luther in 1963. When that run ended he decided to take a year off and sail around the world. The success of Tom Jones enabled Finney to turn producer on his next film, which he also starred in: Night Must Fall (1964). It was directed by Reisz. "People told me to cash in on my success while I was hot," he later said. "I'd been acting for about eight years and had only had one vacation... Captain Cook had been a hero of mine when I was a kid, and I thought it would be exciting to go to some of the places in the Pacific where he'd been." Finney had a cameo in Soderbergh's Traffic (2000) and played Ernest Hemmingway in Hemingway, the Hunter of Death (2001) for TV. Finney was reunited with Ridley Sccott in A Good Year (2006). He had support roles in Amazing Grace (2006), The Bourne Ultimatum (2007), and Before the Devil Knows You're Dead (2007). His last appearance in a feature was in Skyfall (2012). He received five Oscar nominations but never won. He was nominated for the Academy Award for Best Actor four times, for Tom Jones (1963), Murder on the Orient Express (1974), The Dresser (1983), and Under the Volcano (1984); and once for Academy Award for Best Supporting Actor for his performance in Erin Brockovich (2000). 1 2 Quentin Falk (1993). Albert Finney in Character: A Biography. Robson Books. ISBN 978-0-86051-823-5. ↑ "Goldsmith Televised". The Stage (3900). 12 January 1956. p. 12. Retrieved 10 February 2019 – via British Newspaper Archive. (Subscription required (help)). ↑ "She Stoops to Conquer: Part 1". The Radio Times (1677). 30 December 1955. p. 44. ISSN 0033-8060. Retrieved 10 February 2019. ↑ Quentin Falk – Albert Finney in Character: A Biography – 1992, page 23 "This was Fernald's production of Ian Dallas's The Face of Love, a modern-dress version of Troilus and Cressida." 1 2 3 4 5 6 7 8 9 FINNEY COMES BACK TO FILM Farber, Stephen. New York Times 26 July 1981: A.1. ↑ WIFE SUES ALBERT FINNEY, The Guardian 7 July 1961: 19. ↑ Finney: A Star Who Hides His Magnitude: Albert Finney, Marks, Sally K. Los Angeles Times 23 Apr 1967: c11. ↑ Taubman, Howard. "Theater: 'Luther' Stars Albert Finney; John Osborne Drama Is at the St. James". The New York Times. Retrieved 9 February 2019. 1 2 ALBERT FINNEY The Guardian 15 Mar 1972: 10. ↑ Albert Finney to Appear Here In 'Joe Egg,' a London Success: Simon Sells "Plaza Suite" Don't Drink" Will Move By SAM ZOLOTOW. New York Times 12 Dec 1967: 57. ↑ MOVIE CALL SHEET: 'Charlie' Next Film for Liza Martin, Betty. Los Angeles Times 21 Oct 1966: C16. ↑ Finney's fondness for the good life Gritten, David. The Ottawa Citizen 21 Apr 2000: A14. ↑ Hughes, David (28 December 2018). "Poirot actors: from David Suchet to Kenneth Branagh, the stars who've played Agatha Christie's sleuth". The Independent. ↑ News of the Screen: ' Sugarland' Team For 'Clearwater' 5 Adaptations Set In Theater Series Finney to Direct Comedy on Lunacy By A. H. WEILER. New York Times 12 May 1974: 49. ↑ WHITHER ALBERT FINNEY? : From Manchester to Motown Christon, Lawrence. Los Angeles Times 18 July 1977: f1. ↑ ALBERT FINNEY STAGES A FILM COMEBACK, Blume, Mary. Los Angeles Times 19 Oct 1980: p67. ↑ Farber, Stephen (July 26, 1981). "Finney comes back to film". The New York Times. Archived from the original on September 5, 2017. Retrieved September 3, 2017. 1 2 3 4 5 6 7 8 9 "Obituary: Albert Finney". BBC News. Retrieved 8 February 2019. ↑ O'Connor, John J. (12 September 1985). "TV review; 'The Biko Inquest' on Showtime". The New York Times. Retrieved 1 August 2018. ↑ The Albert memorial, Billington, Michael. The Guardian 13 Mar 1986: 12. ↑ "The Trial – Rundfunk-Sinfonieorchester Leipzig". Genius. Retrieved 8 February 2019. 1 2 "Dorset On Screen: A Report On The Use Of Dorset As A Film-TV Location For The British Film Centenary 1996". South Central Media. Retrieved 8 February 2019. ↑ Elley, Derek. "Cold Lazarus". Variety. Retrieved 8 February 2019. ↑ Cole, Simon. "Dennis Potter's 'Karaoke' & 'Cold Lazarus' DVD review". Cult Box. Retrieved 8 February 2019. 1 2 Elley, Derek. "A Rather English Marriage". Variety. Retrieved 8 February 2019. ↑ Lyman, Rick. "'Chicago,' 'Hours' Win Top Golden Globe Awards". The New York Times. Retrieved 8 February 2019. 1 2 3 "54th Emmy Awards Nominees and Winners". Emmys.com. Retrieved 8 February 2019. ↑ "Albert Finney: a career in pictures". The Daily Telegraph. Retrieved 9 February 2019. ↑ "Tim Burton's Corpse Bride". BBFC. Retrieved 8 February 2019. ↑ Wilmington, Michael. "Albert Finney Finds Significance on 'Man of No Importance'". chicagotribune.com. 1 2 Barnes, Mike; Byrge, Duane. "Albert Finney, Chameleon-Like Star of Stage and Screen, Dies at 82". The Hollywood Reporter. Retrieved 9 February 2019. ↑ Eden, Richard (15 May 2011). "Film star Albert Finney won't let cancer grind him down". The Daily Telegraph. Retrieved 2 April 2013. ↑ Taylor, Paul (30 November 2012). "Actor Albert Finney – son of Salford – loves to come home". Manchester Evening News. Retrieved 2 April 2013. ↑ "Actor Albert Finney dies aged 82". BBC News. BBC. 8 February 2019. ↑ Guy, Jack (9 February 2019). "Albert Finney, five-time Oscar nominee, dead at 82". CNN. ↑ "Albert Finney, 'Angry Young Man' Who Became a Hollywood Star, Dies at 82". The New York Times. Retrieved 8 February 2019. ↑ "2000 (73rd) Academy Awards – Actress in a Leading Role". Academy Awards Acceptance Speech Database. Retrieved 9 February 2019. ↑ Davies, Hugh. "Delight at last as Billy Elliot boy conquers Hollywood gladiator". The Daily Telegraph. Retrieved 9 February 2019. 1 2 "42nd Emmy Awards Nominees and Winners". Emmys.com. Retrieved 9 February 2019. 1 2 3 4 "Albert Finney – Golden Globe Awards". Golden Globe Awards. Retrieved 9 February 2019. 1 2 "Oliver Winners 1986". Oliver Awards. Retrieved 9 February 2019. ↑ Celebration: 25 Years of British Theatre. W. H. Allen Ltd. 1980. ISBN 978-0-491-02770-0. ↑ "10th Annual Los Angeles Film Critics Association Awards". LAFCA. Retrieved 9 February 2019. 1 2 "National Board of Review – Best Actor". National Board of Review. Retrieved 9 February 2019. ↑ Weiler, A.H. "Film Critics Vote 'Tom Jones' Best of Year; Finney Named Top Actor for Title Role – 'Hud' Honored Finney in 3d Film". The New York Times. Retrieved 9 February 2019. 1 2 "The 9th Screen Actors Guild Awards". SAG Awards. Retrieved 9 February 2019. 1 2 3 "The 7th Screen Actors Guild Awards". SAG Awards. Retrieved 9 February 2019. ↑ "Venice Film Festival – 1963 Awards". IMDB. Retrieved 9 February 2019. 1 2 3 4 5 6 7 8 9 10 11 12 13 14 15 16 17 18 19 20 21 22 23 24 25 26 27 28 29 30 31 32 33 34 35 36 37 38 "Filmography for Albert Finney". Turner Classic Movies. Retrieved 8 February 2019. 1 2 3 "Albert Finney List of Movies and TV Shows". TV Guide. Retrieved 8 February 2019. ↑ "Emergency – Ward 10 (1957–67)". BFI. Retrieved 9 February 2019. ↑ "Finney to make TV debut". Ottawa Citizen. Retrieved 9 February 2019. ↑ "The Endless Game (1989)". Rotten Tomatoes. Retrieved 9 February 2019. 1 2 3 4 "Albert Finney - Credits". TV Guide. Retrieved 9 February 2019. ↑ Moore, Gene M. (1997). Conrad on Film. Cambridge University Press. p. 249. ISBN 978-0-521-55448-0. Retrieved 9 February 2019. 1 2 "Film in 1961". awards.bafta.org. Retrieved 8 February 2019. ↑ "4º Festival". Mar Del Plata Film Fest (in Spanish). Retrieved 9 February 2019. ↑ "The 36th Academy Awards". Oscars.org. Retrieved 9 February 2019. ↑ "Film in 1964". awards.bafta.org. Retrieved 8 February 2019. 1 2 "Albert Finney - Awards". Internet Broadway Database. ↑ "Film in 1972". awards.bafta.org. Retrieved 8 February 2019. ↑ "The 47th Academy Awards". Oscars.org. Retrieved 9 February 2019. ↑ "Film in 1975". awards.bafta.org. Retrieved 8 February 2019. ↑ "Academy of Science Fiction, Fantasy & Horror Films, USA – 1982 Awards". IMDB. Retrieved 9 February 2019. ↑ "Film in 1983". British Academy of Film and Television Arts. Retrieved 9 February 2019. ↑ "Winners & Nominees – 1983". HFPA. Retrieved 9 February 2019. ↑ "The 56th Academy Awards". Oscars.org. Retrieved 9 February 2019. ↑ "Winners & Nominees 1984". HFPA. Retrieved 9 February 2019. ↑ "The 57th Academy Awards". Oscars.org. Retrieved 9 February 2019. ↑ "Film in 1985". Bafta.org. Retrieved 9 February 2019. ↑ "Winners & Nominees 1985". HFPA. Retrieved 9 February 2019. ↑ "London Critics Circle Film Awards – 1985 Awards". IMDB. Retrieved 9 February 2019. ↑ "Television – Actor in 1991". Bafta.org. Retrieved 9 February 2019. ↑ "BSFC Winners 1990s". Boston Society of Film Critics. Retrieved 9 February 2019. 1 2 "Television – Actor in 1997". Bafta.org. Retrieved 9 February 2019. ↑ "Television – Actor in 1999". Bafta.org. Retrieved 9 February 2019. ↑ "Boston Society of Film Critics Awards – 2000 Awards". IMDB. Retrieved 9 February 2019. ↑ "The 73rd Academy Awards". Oscars.org. Retrieved 9 February 2019. ↑ "Actor in a Supporting Role in 2001". Bafta.org. Retrieved 9 February 2019. ↑ "Blockbuster Entertainment Award – 2001 Awards". IMDB. Retrieved 9 February 2019. ↑ "Chicago Film Critics Association Awards – 2001 Awards". IMDB. Retrieved 9 February 2019. ↑ "Winners & Nominees 2001". HFPA. Retrieved 9 February 2019. ↑ "London Critics Circle Film Awards – 2001 Awards". IMDB. Retrieved 9 February 2019. ↑ "2000 Awards (4th Annual)". OFCS.org. Retrieved 9 February 2019. ↑ "Satellite Awards – 2001 Awards". IMDB. Retrieved 9 February 2019. ↑ "Actor in 2003". Bafta.org. Retrieved 9 February 2019. ↑ "Broadcasting Press Guild Awards – 2003". Broadcasting Press Guild. Retrieved 9 February 2019. ↑ "Winners & Nominees 2003". HFPA. Retrieved 9 February 2019. ↑ "Satellite Awards – 2003 Awards". IMDB. Retrieved 9 February 2019. ↑ "Actor in a Supporting Role in 2004". Bafta.org. Retrieved 9 February 2019. ↑ "Winners & Nominees 2004". HFPA. Retrieved 9 February 2019. ↑ "Saturn Award – 2004 Awards". IMDB. Retrieved 9 February 2019. ↑ "Gotham Awards – 2007". Gotham.ifp.org. Retrieved 9 February 2019. ↑ "Broadcast Film Critics Association Awards – 2008 Awards". IMDB. Retrieved 9 February 2019. ↑ Mitchell, Wendy. "Control, Atonement lead London Critics' Circle nominations". Screen Daily. Retrieved 9 February 2019.